Let imagination and play flow. The freestanding Crawl Tunnel is a simple playground component that can become a part of a game, an obstacle in a race or a source of shade. 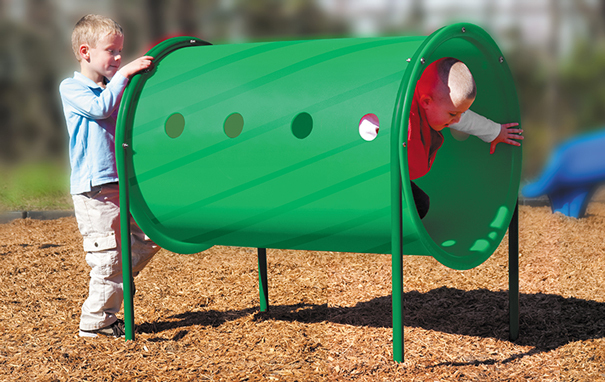 Crawl Tunnel is constructed with highly durable roto molded plastic and decorated with portholes along the tubes side to help create airflow and more visibility for supervision. The freestanding Crawl Tunnel is a great playground accessory that quickly enhances play opportunities at schools, daycares and parks. Includes surface mount footers and ground spikes.